Harloff's Full Shell Medical Storage Cart with Tambour Door brings the most innovative modular tray system the market has ever seen, providing quick access to medical supplies for various surgical procedures - including Arthroscopy, Cardiology, Catheterization, Cystoscopy, Endovascular Labs, ENT, Interventional Radiology, Laparoscopy, Ophthalmology, Orthopedic, Neurology, Urology and Vascular. With 17% more storage capacity than the leading competitor's cart, you'll need fewer carts total, which means you save money without losing workplace efficiency. 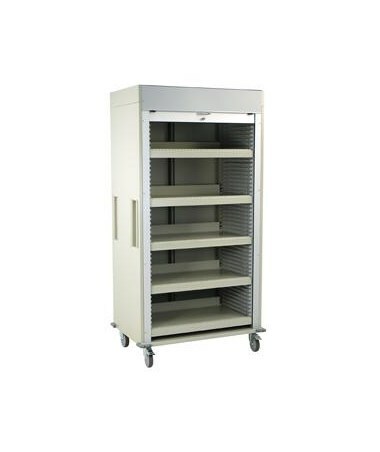 The cart comes equipped with five removable shelves that, with five dividers per shelf (can be mounted on .5" increments), are designed to improve visibility, accessibility and organization of sterile supply storage. 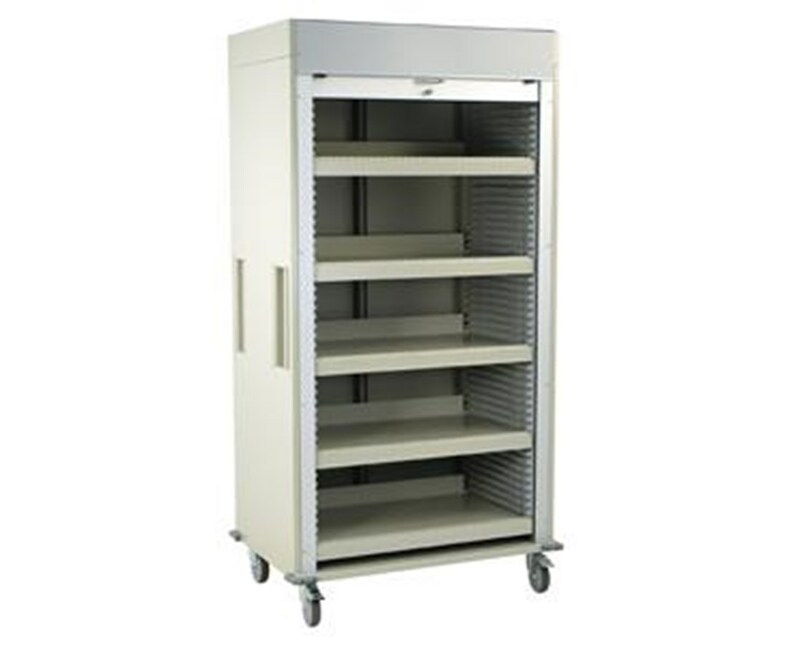 Convenient plast side panels allow for additional shelves to be mounted if desired (47 insertion opportunities). A catheter shelf can be added to expand the cart with three robust dual slide assemblies (each slide features five hooks). The cart ships fully assembled in standard Sand color, with 16 other colors to choose from. Select from the drop down menu above and order online direct by clicking "add to cart!"